WASHINGTON — When the president announced that he was sending the U.S. military to help secure our Southern border, he received bipartisan praise from members of Congress. The Washington Post reported that the move was seen as "smart politics." The year was 2011, and the president was Barack Obama. 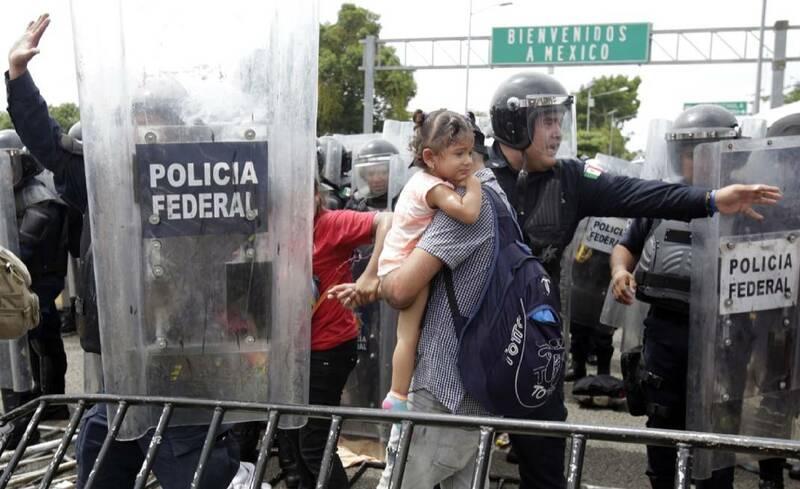 The National Guard troops Obama sent to the border as part of "Operation Phalanx" helped apprehend nearly 18,000 illegal immigrants and seized more than 56,000 pounds of illegal drugs. He was not the only president to deploy troops to the Southern border. In 2006, President George W. Bush launched "Operation Jump Start," in which U.S. National Guard troops assisted in 176,000 immigrant apprehensions, as well as the seizure of almost $900 million illegal drugs. Before that, in 1994, President Bill Clinton launched "Operation Gatekeeper," deploying military personnel to help regain "control" of the San Diego-Tijuana border. Before that, in 1989, President George H.W. Bush established Joint Task Force — Six, deploying the U.S. military to the southwest border region. But now, when President Trump announces that he is doing precisely what four of his Republican and Democratic predecessors did — sending troops to help secure the Southern border — the liberal outrage machines crank into action, as 108 House Democrats sent a letter to Defense Secretary Jim Mattis declaring "this effort is nothing short of a militarization of the Southern border to score political points and stoke misleading fears among Americans regarding immigrants." Similarly, when Trump's critics declare he is an anti-Semite because he criticizes liberal billionaire financier George Soros (who happens to be Jewish), it is perfectly legitimate to point out that they had no problem with Democrats' attacks on GOP financier Sheldon Adelson (who also happens to be Jewish). Bernie Sanders castigated "billionaires like Sheldon Adelson buying elections," and Elizabeth Warren declared "Sheldon Adelson can't buy us off." Are they anti-Semites? And it is perfectly fair to point out that these critics were silent a few weeks ago when former president Clinton shared a stage with Nation of Islam leader, Louis Farrakhan, who has declared, "Hitler was a very great man," and warned Jews, "Don't you forget, when it's God who puts you in the ovens, it's forever!," and most recently compared Jews to "termites." Some even defended Clinton by saying he was simply attending Aretha Franklin's funeral and could not control the guest list. Would Trump's critics have had the same reaction if Trump had attended a funeral where he shared the stage with David Duke? And where was the outrage when Obama took a smiling photograph with Farrakhan, reportedly joking that "He is much better looking than I am"?